How to check traffic summon online including JPJ, PDRM and AES online? Ages sophisticated technology now allows us to make queries or matters related to our daily lives online. 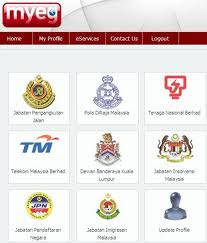 No exception, now you can check traffic summon online for the Royal Malaysian Police (PDRM) and the Road Transport Department (JPJ) as well as AES summon in several ways either on the website or through short messaging system (SMS). For first time users, you must first register personal details before you can begin to check your summons.